Translation is a product or service and the translator is the service provider. And when talking about providing services and products, quality always comes to mind. It does not matter how small a service or product is, what matters to clients and consumers is the quality of the product they are paying for. How then could the “quality” of translation be assured? As a translator, it is your duty to maintain excellence in every translation work you do. In a capsule, quality of translation is not only about correctly translating sentences and words. When talking of high quality translation, it means that it addresses the individual language requirements that each client needs. It must be accurate and should seamlessly adapt to the reading levels of the target audience. While translation, for the most part, is intuitive, there are still standards that govern the language industry. Depending on the location, these standards may be the norm or just serve as guideline, leaving the final decision for the translation work and its conformance to their own company’s quality standards to themselves. However, since there are legal and ethical obligations between the translator and the client, both should be protected, hence, standards have been created to state the mutual duties of each party. Of course, there are always two sides to a story. 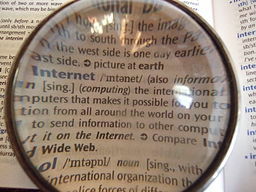 On one hand, some members of the translation industry think that over-reliance of the translation standards can give a false sense of security for some, as this can also mean that the quality of the translation may not be assured, although the translation conformed to the given set of standards. For this group, the quality of translation depends on feedback from employers and clients and on-going training of translators. The standards for the translation industry actually stemmed from the requirements of the manufacturing industry. Quality management grew as a result and included the development of specific quality standards for the translation industry, which included the Canadian CAN CGSB 131.10, the EN 15038, the Austrian Önorm D 1201 and Önorm D 1200, German DIN 2345 and the Italian UNI 10574. These standards define the basic rights and obligations of the client and service provider, the unification of terminologies and the basic requirements from the providers of language translation services, including documentation, review and revision processes and administrative functions. The ASTM F2575-06 Standard Guide for Quality Assurance in Translation is applicable to American translation services providers. It provides a framework where clients and translators can agree on the project’s specific requirements. This standard is not very rigid as the creators believe that translation requirements are very individual but there exist some parameters that should be considered before a project is started. For American translators this is a rudimentary guideline to inform parties about the basic quality requirements for compliance, rather than a firm set of rules. These standards are not set in stone. The quality of translation depends on the tools being used, the skill and expertise of the translator in the language pair, knowledge of the specific stylistic and linguistic preferences of the client and target audience as well as thorough knowledge of the subject. The quality of the translation also depends on the knowledge of the translator regarding the culture of the target audience, the demographics, their behavior and characteristics and the intricacies of the language. Previous Previous post: Proofreading: a pointless cost or an important part of every translation task?